This Pontiac Grand Prix "Hot Wheels" #44 Stock Car was produced back in 1999 and is long since out of production. 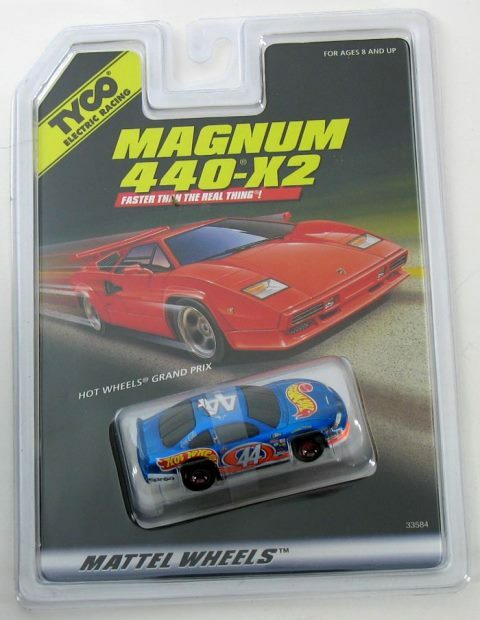 It resides on the 440-X2 wide (pan) chassis which can also be used for other Tyco/Mattel wide bodies. These chassis have long been known for their consistency and durability.It is new unused in the original clam shell packaging never opened.